So I have a new obsession. After over six whole months, maybe even a year since I realised they existed, I decided to expand my baking collection with donut pans. 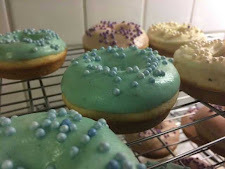 I have been fascinated about the concept of baked donuts since stumbling across a recipe for Strawberry Buttermilk Donuts on one of my rare Google+ tours. 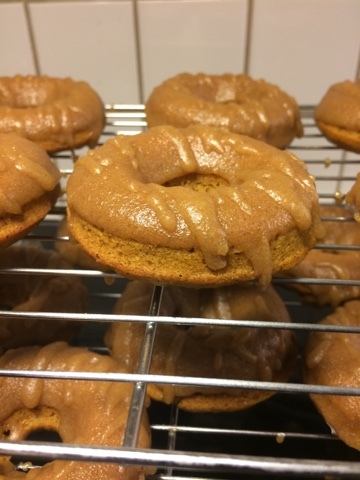 I have tried my hand at a couple of donut recipes, however seeing as it was the week leading up to Canadian Thanksgiving, I decided to celebrate this serendipity into making Pumpkin donuts. 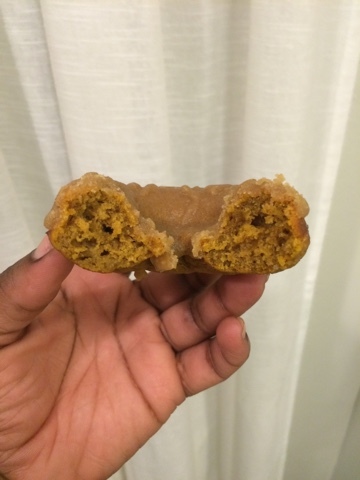 The recipe was quite fiddly, and used the microwave more than I like to (which is never), and to be honest, I am not so keen on the Pumpkin flavour, so I probably wouldn't attempt this recipe again. I messed up the frosting by combining all the ingredients before it got fly-zapped, sorry, microwaved, rather than adding the fine sugar last. I'm not sure if this was the reason the frosting was quite grainy, but either way it wasn't my favourite texture.